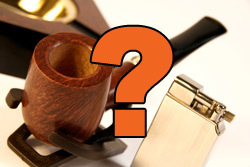 Thank you for joining us for The Pipes Magazine Radio Show—the only radio talk show for pipe smokers and collectors. We broadcast weekly, every Tuesday at 8 pm eastern USA time and are available on nearly all podcast sites and apps. Listen on your computer, tablet, phone and even in the car! Our featured interview tonight is with Jeff Tomei. If his last name sounds familiar, it’s because Marisa Tomei, the actress has the same last name. NO RELATION. Jeff became the new owner of online tobacconist 4noggins.com 1-year ago, in April 2018. In Pipe Parts, Brian will have some interesting readings from Rattray’s Tobaccos from an old pamphlet he found. 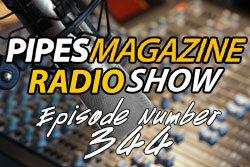 Sit back, relax with your pipe, and enjoy The Pipes Magazine Radio Show! 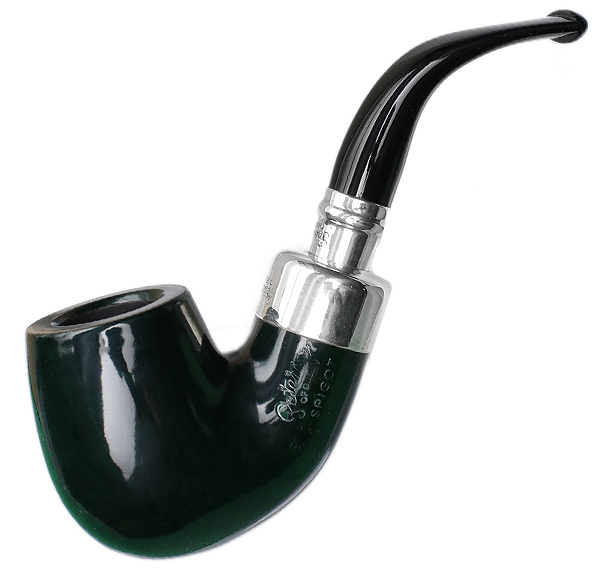 Recently on the forums, an old post got resurrected about the differences between block and pressed meerschaum and the reminder was that pressed meerschaum is rarely used these days because it takes huge machines to use. I actually didn’t know this and thought it would be a good time to talk to some experts and pull out all the information about where the meerschaum industry is today. But before we talk about today how about a peek at the past. 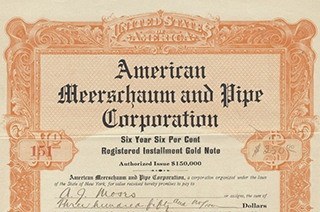 Did you know that we used to find meerschaum in the United States in New Mexico? Let’s go back in time over a hundred years ago to 1907. Turkey, like today, controlled the worlds purest and best meerschaum which was used for pipes, and as a natural insulator for heat, cold, and electricity. We stumble across a hard to reach mine in the mountains near Silver City and Pinos Altos in South Western New Mexico. As an aside, 1907 was before we had automobiles everywhere - this was train country and the horse still reigned supreme when it came to local transportation. Not too far from the mine, only 26 years earlier, Billy, the Kid was shot dead. As you know, last year we lost McClelland’s tobacco manufacturer, which was a terrific blow to our community. 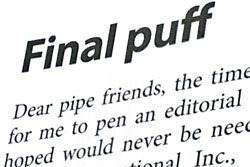 And now, the announcement arrived with the Spring Issue of Pipes and Tobacco Magazine that it is closing its operation. William C. Nelson, the editor, left the door open, he said, if someone had the resources to pick up the mantel, then Pipes and Tobaccos might continue. Considering today’s print climate, I find that a forlorn hope. 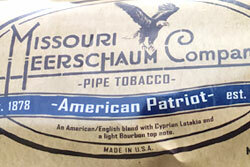 Losing McClelland’s and P&T back-to-back are two major fatalities for the pipes and tobacco world. The last issue of P&T contained three of pipes and tobacco journalism’s giants: William Serrad, Tad Gage and G.L. Pease. Where Will Pipes Be in 100 Years? "Reg!" I said, "It's so good to see you!" as I gave him a big bear hug. "Well, I'll tell you, mate," he said, "I'm feeling a little better now. My wife of 54 years died in January, and this is the first time I can feel the cloud lifting a little – because of all the love and friendship there is at this pipe show."